The Meriwether Bay House has been a comfortable family retreat since 1951. Nestled under a 300-year-old live oak, this waterfront home is situated directly on beautiful Perdido Bay. 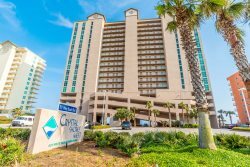 The site offers the tranquility of a bay setting together with proximity to the renowned white sand beaches of the Gulf coast with its many recreational activities, restaurants, entertainment venues and shopping opportunities. The home can accommodate up to 12 people, with two bedrooms, a queen sleeper sofa in the study, and a queen futon sleeper on the enclosed front porch. There are two full baths as well as an outside shower for use after a refreshing dip in the bay. Boaters can take advantage of a small mooring ball in front of the house as well as the nearby public boat ramp. The house is also situated just minutes from Barber’s Marina and Pirates Cove Bar and Marina, a favorite with local residents and visitors alike. If golf is your sport, then grab your clubs and head to nearby Soldiers Creek Golf Club or Glen Lakes Golf Club. The house’s bayfront location also provides guests with a front row seat for watching dolphins, pelicans, blue herons, ospreys, and the occasional bald eagle fishing for their dinner. Or just sit back and enjoy the cool breezes and magnificent sunsets on Perdido Bay. Great view and very quiet. Wish we had more time to enjoy everything.